Value added programs are a marketing tool which allow cattle producers to bring more dollars to their bottom line. At the basic level, value added programs assure buyers the calves received some type of vaccination / health protocol. Marketing opportunities, such as grass-fed, all natural, and export, require age and source verification. For age and source verification, cattle require an official "840" EID tag which is an official USDA tag for animal traceability. 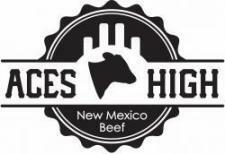 In an effort to promote additional marketing options for New Mexico cattle producers, NMSU offers two calf certification programs, ACES High and ACES High+. Online Enrollment & Certification |Producers are encouraged to enroll online and contact their local County Extension Office to have calves certified by the County Agriculture Agent. Extension Offices are also available to assist with the enrollment process. Producers must be BQA Certified prior to administering vaccines at branding. If not BQA certified, contact your local County Agent to make arrangements. A Premise ID is strongly encouraged and may be obtained by contacting Dusty Wells, USDA at 505-761-3160. Physical address, GPS coordinates and directions to property if not in 911 System, will need to be provided. Use Google Maps app or Google Earth to locate and find GPS coordinates.